If you weren’t yet convinced, you must be now: Peter Capaldi is the Doctor. 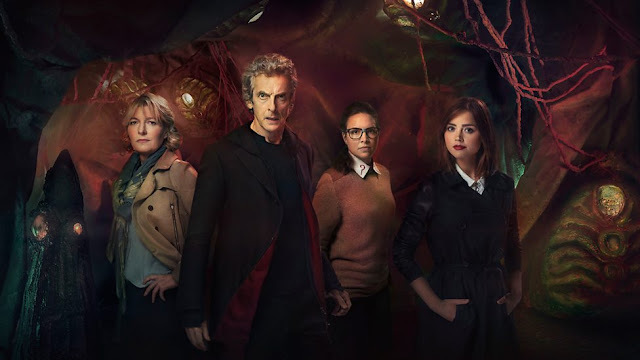 Following on from last week’s The Zygon Invasion, this episode, by Peter Harness and Steven Moffat, sees Capaldi’s Doctor and Osgood racing to confront the Zygon extremist who’d stolen Clara’s body – all leading up to a final confrontation underneath the Tower of London. And what a confrontation. Last week’s episode set up the story as the most political Doctor Who’s been in ages, with UNIT drones, Zygon refugees, and radical terrorists, but part two’s climax is where the Doctor finally lets his own opinions on the situation loose. I'm somewhat uneasy about the start of this rant, with his argument that the Zygons should just get over the unfair treatment of their species, but once he really gets going on the consequences of war, particularly the culpability of both sides, the arguments are powerful and Capaldi is electrifying. “Because it’s not a game, Kate – this is a scale model of war!” It's a desperate plea for pacifism crossed with passionate rage in a way which gets right to the heart of who the Doctor is, and yet which no other Doctor could pull off. It's a Doctor-defining scene. And it’s a scene that works on many levels – as well as drawing on modern day politics, it draws on the history of Doctor Who (the Doctor having seen all this before in the Time War, and even right back to The Silurians – Kate finally making up for her father turning another potential peace into a genocide). Even the date of broadcast is relevant – on the day before Remembrance Sunday, the Doctor, remembering his own grief, monologues about the importance of turning mourning for the millions lost into a reminder never to let the same horrors happen again rather than an excuse to keep on fighting. Also, extra plus points for not overdoing the music like many a big speech of Matt Smith’s era – Peter Capaldi running on full steam needs no musical accompaniment. There is one nit I have to pick, and I admit it is a minor nit, but the Black Archive’s memory wipe sprinklers… they seem to pick which memories to wipe and from whom based on what’s convenient for the plot. They didn’t make much sense in Day of the Doctor and don’t here either. But, while the Black Archive confrontation is getting all the love, there’s another scene I want to single out as one of my favourite recent Doctor Who moments, and that’s the Doctor and Osgood meeting Etoine, the ordinary Zygon just wanting to get by. Zygon society is so much more wonderfully complex than that of one-note villains like the Daleks, you see. This Zygon silent majority were talked about but unseen in Invasion, and for the extremist villains to really work, the introduction of a typical Zygon everyman was vital. When the Doctor finds him, Etoine’s been forced into exposing his natural form as part of Bonnie’s scheme and is driven to suicide. His despairing call of “I never wanted to fight. I just wanted to live here. Why can’t I just live?” is extraordinarily familiar; this is not just anti-war Doctor Who but pro-refugee Doctor Who, and it’s amazing how the episode gets away with being so bold. So, two brilliant scenes. What else is going on? The Clara/Bonnie conflict is a clever way of utilising a character who’s effectively trapped in a big orange blob for the whole episode, and of putting Clara’s people skills to the test. It does feel, however, that Clara hasn’t yet had an episode this series where she’s got to do a massive amount – let’s hope she gets a chance to shine soon before all these hints about her mortality come to something. 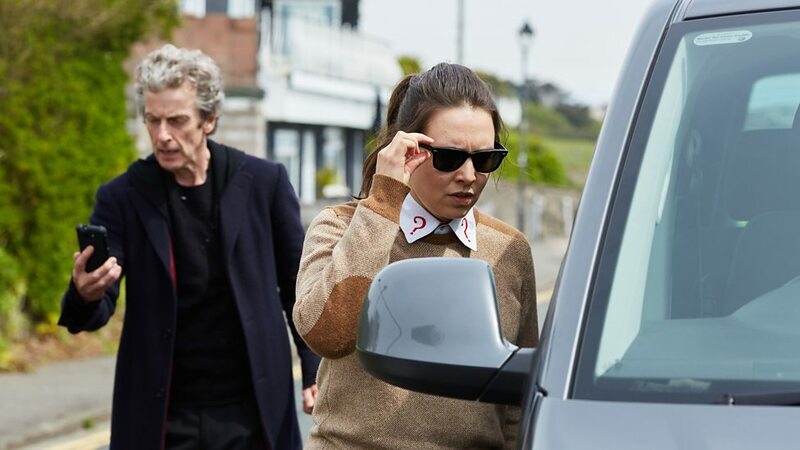 I’d also like to give a big shout out to Osgood, who I found rather gimmicky in Moffat’s earlier scripts, but who really proves herself in this episode. She turns from a stereotypical starstruck fan into someone able to see themselves on an equal level with the Doctor, and able to stand up to him when he asks that silly “Zygon or Human?” question yet again. It’s a development that naturally flows into the final scene of her turning down what she’s always wanted, and the Doctor’s parting “I’m a very big fan” line got me right in the feels (because sometimes daft tumblr terminology is totally appropriate). One more minor negative, which is that some of the early Doctor/Osgood scenes don’t work on a visual or action level quite as well as last week’s globe-spanning episode – cutting to the Doctor the moment after his parachute lands gives away the low budget, as does the ease with which they escape from the Zygon policemen (surely they’d get back in their police car and give chase!). Nevertheless, I don’t like to be too harsh on something which was obviously down to restrictions placed on the production, and the positives of this episode – Harness and Moffat’s script and Capaldi’s performance – more than outweigh the negatives. This two parter has come together brilliantly as one of Doctor Who’s boldest stories in a long time, and the BBC deserves big applause for broadcasting such a relevant and abrasively anti-war episode during Remembrance Day weekend. Whereas this series' opener tried to be great Doctor Who by aping an old classic, this story broke new ground and in so doing created a new classic.